Over the years I’ve had a very on-again off-again relationship with the Soul Calibur series. Truth be told, my favorite entry of the franchise was Soul Calibur II, and I only enjoyed it slightly more than Soul Edge in the arcades (renamed to Soul Blade when it was released on the PlayStation 1 outside of Japan). Soul Calibur was many people’s favorite, but I was in Europe for it’s arcade release and I did not own a Dreamcast. But I can safely say that I’m not alone in being a bit disappointed in Soul Calibur III and IV, even though those games do certainly have their fans. That is more than Soul Calibur V can say, I don’t think that I’ve ever met anyone who thinks that is a great game or anything but the worst entry in the series. This misstep is not lost on Bandai Namco themselves. 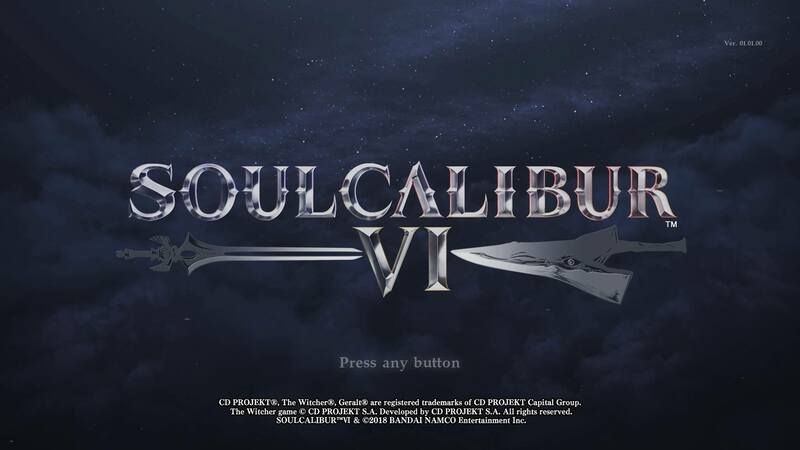 From the outset, it has been apparent that Soul Calibur VI is the sequel to Soul Calibur IV, and they are mostly ignoring that V ever happened. I definitely agree with their stylistic decision, but the question still remained about whether someone like me, who is not a huge fan of the series, would be charmed by the newest entry. The series premiers on a new console generation and the story enters a new era. It is difficult to fully define what it is about Soul Calibur that has never quite caught on with me. I think that a factor is the use of Active Block. This was certainly not the first series to use Active Block (meaning that you must hold down a button in order to block), the Midway/NRS fighting games used it before and are still using it now. But if anything, I really do not like those games more for their clunky movement and mechanics. So the block system is not the full story on my tastes in the series. Of course this game still uses the Active Block system, although there are a few more wrinkles in it now that makes it more interesting. But I would say a larger reason is that I’ve never felt compelled to play this 3D fighting game when I enjoyed Virtua Fighter and especially Tekken far more. Tekken is especially important not only because Bandai Namco also makes that series, but because for each major Soul Calibur game, there was a Tekken game released around the same time that I was actively playing. I was never even tempted to buy a Dreamcast for Soul Calibur when I returned from Europe because Tekken 3 was out, and that is widely regarded as one of the greatest fighting games of all time. That’s not to say you can’t have more than one fighting game that you play obsessively, but I tend to only have one 2D fighter and one 3D fighter going at any time. Unfortunately, once again, Soul Calibur VI is releasing after a watershed Tekken game, Tekken 7. So it is going to have a difficult time gaining traction for myself, and many people who are still obsessively playing Tekken 7 (it should be noted that the professional scene for the game is extremely active). One of the best decisions the development team made was getting some outside help developing hype from a certain monster hunter. You had me at Geralt. I may prefer the mechanics of the Tekken series, but something Soul Calibur has always excelled at is including guest fighting characters. Even NRS games have caught on to how successful this can be, but the fighting game which really kicked off this trend was Soul Calibur II. The GameCube version of that game is considered the best version, not because of any particular console superiority (quite the opposite), but because of the inclusion of Link to the roster. Of course, that also bit them a little bit in Soul Calibur IV when Yoda turned out to be virtually game breaking. But if they were going to choose one video game character that was going to get me (and many others) truly hyped, Geralt of Rivia was a fantastic choice. I’ve never been shy about expressing my love for The Witcher series, and The Witcher 3 is one of my favorite games of all time. 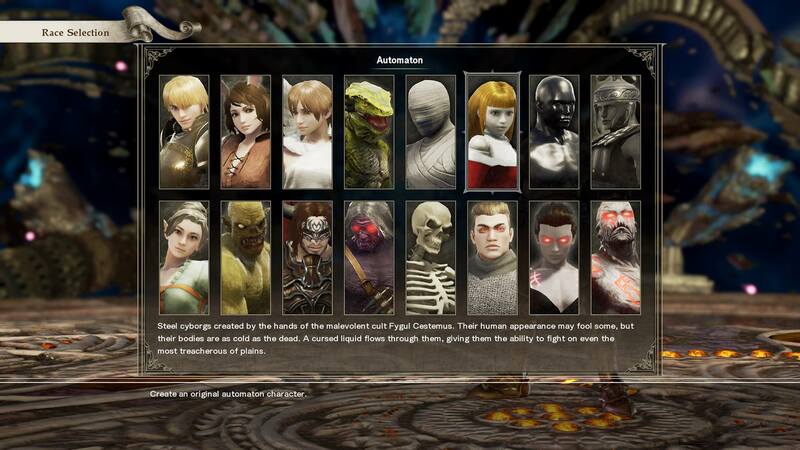 But, to my surprise, the developers did a lot more with the guest character than I was expecting. Not only does Geralt have his own fighting style, instead of being a slightly different take on a series mainstay (like Link had the moves of Sophitia), but he had his same voice and his own story sequences. The overall feeling of the witcher was carried over whole cloth and I was not at all surprised to see in the end game credits that a fairly large team of CD Projekt RED were involved in bringing him to this game. 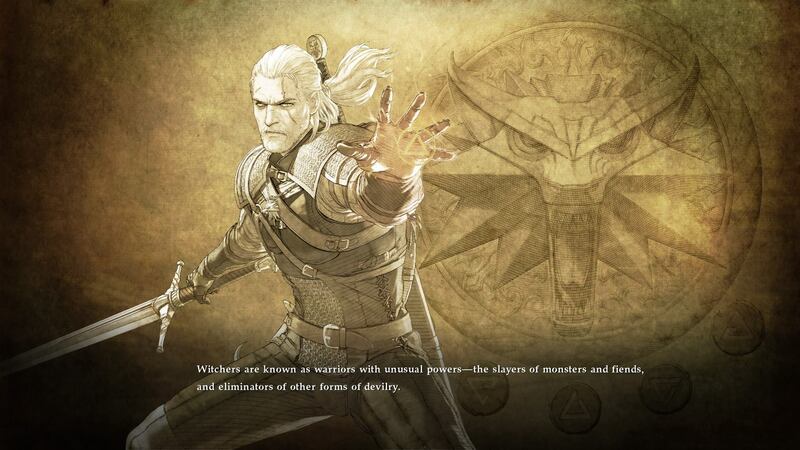 Geralt may have his Signs but all characters have significant power. Those who know Geralt well might think that they would have to take away his Witcher Signs in order to make him balanced. That is not the case, because this time around they significantly powered up all the cast and gave them various moves that use a super meter gauge that builds up during combat. When Geralt uses his signs, it slightly depletes the super meter in order to balance his power with the others (although he’s still very good). The meter has a maximum of two levels, it is built slowly by attacking or guard impacts, and very quickly by using a new technique called Reversal Edge. You also gain one full bar of meter the first time you reach your last round of combat. For instance, if someone beats your character two rounds and you reach the third round (by default), you will gain an extra bar. But if you win that round and still need to go to a final match up, you won’t gain another bar again. In low to average level play typically you will see the super bar used for Critical Arts attacks which are extremely flashy attacks that do a large chunk of damage if they hit, but at the cost of one bar. In medium to high level play the better use of the bar, in most cases, is using Soul Charge. Soul Charge also costs one bar but will power up all of your attacks and additionally give you access to new attacks. For a couple characters, such as Kilik and Aswel, being in Soul Charge will also access a new (and much more powerful) Critical Art, but this will obviously cost all of your super meter and cannot be done unless you have 2. 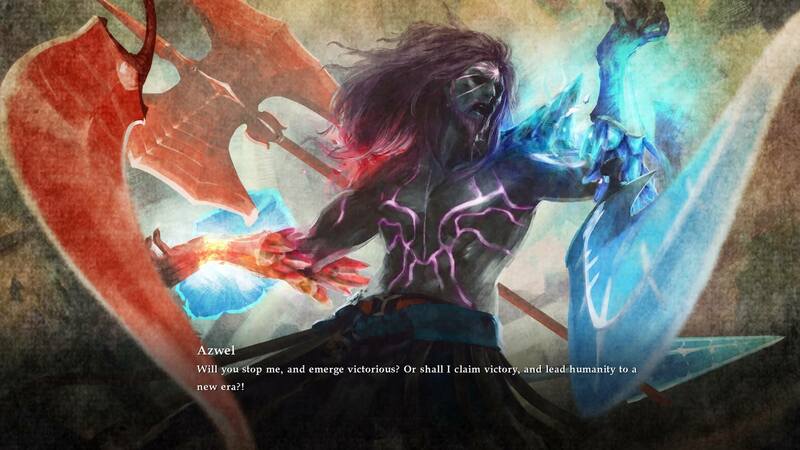 Soul Charge usually lasts a short time, but Kilik is an exception. Instead of the SC gauge wearing off, his health will be depleted over that time. 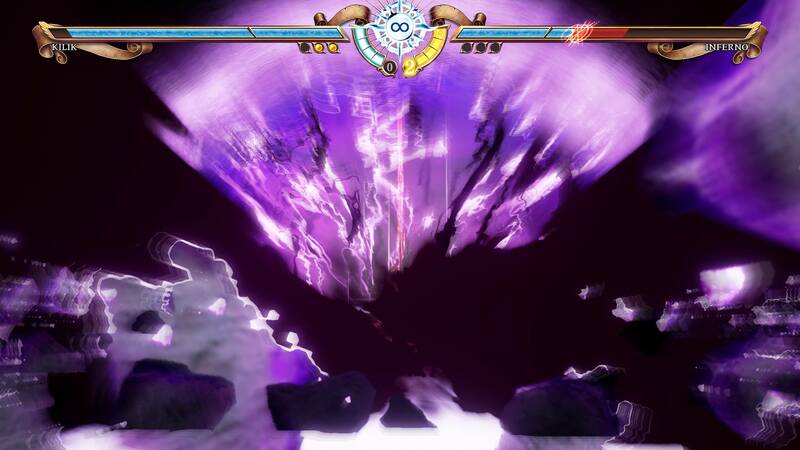 During Soul Charge, Kilik makes quite the transformation. I did enjoy the new Soul Charge mode, and the Critical Arts are also pretty cool and not excessively overpowered. And from what I’ve seen of professional tournament play thus far, the rest of the fighting game community seems to think that these additions are well balanced. Less popular with myself, and with others, is the addition of Reversal Edge. At it’s most basic level, Reversal Edge is a technique you can use to give yourself a few seconds of auto parry which transitions into a mid level attack that if connects will transition you and your opponent into a stance duel with the outcome decided (largely) by a rock-paper-scissors input. If you win the stance face off, you will gain around 50% of a super meter as well as getting a free combo for decent damage. During the Reversal Edge face off, vertical beats horizontal, kick beats vertical, and horizontal beats kick. If you both hit the same button, you will reflect the strike and go into a second face off. If it was just that, then it would be even more annoying due to the randomness. But thankfully, you can also avoid damage by 8-way movement or by blocking if you don’t want to take the risk. Also, the Reversal Edge initial strike is only a vertical hit and does not parry low, so there are ways to get out of the initial blow itself. In the end, it seems like something that only low level players will be using much, and it’s randomness is annoying but not a death blow to the game in competitive play. There are quite a few races to select as well as many other options when creating a new fighter. Of course, competitive play is not the only concern when making a fighting game, and I would argue that it is very low on the priority list for any Soul Calibur. They have always spent far more effort on the single player elements of the series, whereas with Tekken they tend to prioritize the multiplayer content. 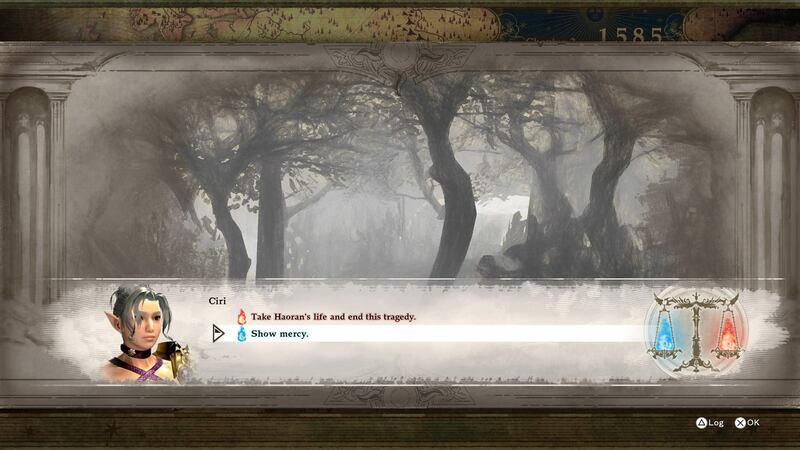 That is especially true for this entry, as they have expanded both the Main Story and the Libra of Souls modes to a level that even the previous games in the series didn’t reach. For Libra of Souls, you craft your own character from an array of 16 different races (which you see above), two genders, and you can alter their appearance to a fairly minute degree (mirroring character creation menus that you typically see in MMORPGs). Unfortunately, the only major limitation you will run up against is in the different outfits. While there is a good amount of selection for clothing and you can change the colors to a massive degree, it still feels like there should be more added over time as DLC, especially with all the variety they had in their previous game. One very cool addition is that fighting styles are attached to the weapon you are wielding in Libra of Souls. So you can actually change your fighting style any time you want, outside of combat. I stayed with one fighting style for the entire story, with one exception, because I made an inter-dimensional traveler, the Lady of Time and Space herself, Ciri. So obviously, she was going to use her (adoptive) father’s style. It is clearly stated when a decision will alter your alignment one way or the other.